CSLB disaster response teams have geared up early this wildfire season, traveling to Kern County in early July to help property owners whose homes were damaged or destroyed by the Erskine Fire near Lake Isabella, and at the start of August responding to victims of the Sand Fire in the Santa Clarita area and Soberanes Fire in Monterey County. CSLB recovery staff also returned to Lake County in late August in response to the Clayton Fire there, near the same area where last year's disastrous blazes struck, and are expected to be extra-busy through the remainder of the year. For the Erskine Fire, outreach was staged in tandem with the California Department of Insurance (CDI). CSLB staff members and their CDI counterparts circulated through the fire zone, assessing the scope of devastation, talking with shaken residents, and posting signs in various locations warning against unlicensed contracting. CSLB also staged a press conference and took local TV reporters on a tour of the charred landscape to get the word out about assistance efforts, elaborating on CSLB's role as a public protector against predatory contractors in disaster areas. As a member of the California Emergency Management Agency's disaster recovery team, CSLB is always one of the first governmental agencies to respond to communities after fire, floods, earthquakes, or any other natural disaster. 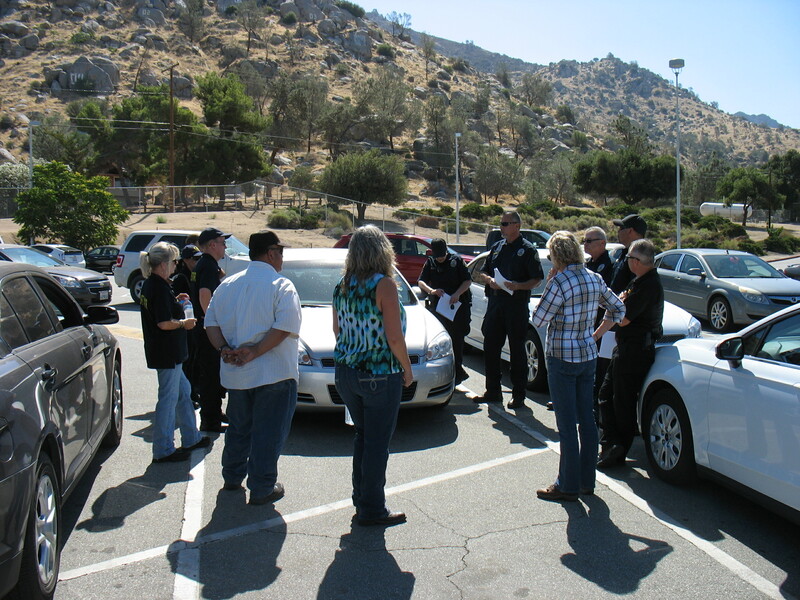 In the town of Lake Isabella, CSLB and other agencies helped set up and staff a Local Assistance Center for affected residents. CSLB representatives spoke with property owners with questions about rebuilding their homes, and handed out educational information about post-disaster contracting laws. CSLB also maintains a Disaster Help Center section on its website, with a link right on the home page.